The AAAGV – Getulio Vargas Academic Athletic Association is the students sports entity of the EAESP, EESP and EDESP at FGV. It was officially established in 1987, however it exists since 1954 as part of the Getulio Vargas Academic Board (DAGV). Currently, it is one of the largest athletic associations in the state of São Paulo, with great results in the competitions it takes part in. Therefore, the Association counts of the participation of a great part of the over four thousand students at FGV. 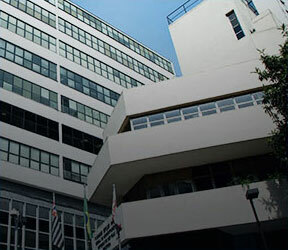 AIESEC , the International Economic and Commercial Sciences Student Association, headquartered at FGV/EAESP, the AIESEC (French acronym) is the largest student association in the entire world, nonpartisan and non-profit. The AIESEC is a global network of 20,000 members in over 84 countries and territories and is present in over 700 universities worldwide. AIESEC’s core business is the people exchange process. The Association believes that the best way to create and develop future leaders for the global market is to let young college students experiment the challenges of new cultures, society and business in other countries. 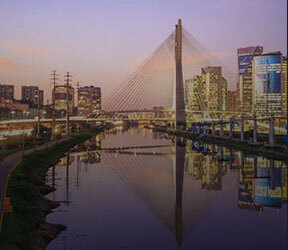 Conexão Social FGV – (GV Social Connection) is a student entity made up of students from three Schools, namely Management, Economics and Law, from FGV in São Paulo with the purpose of adding to student’s education so that they become socially responsible leaders, aware of the role they play in society and their potential to make positive transformations. Junior Economics Consulting Firm (CJE) – FGV/EESP is a student initiative that met the need to put student’s knowledge into practice and establish contacts and partnerships with the market. Supported by school faculty, the initiative came to life at the end of 2007. The CJE is a non-profit consulting firm, which provides services in the area of Economics for the first, second and third sectors. The firm’s members are undergraduate students in Economics, Management and Law from FGV-SP. Students count on the skills learned in the classroom, in addition to assistance from faculty and FGV study centers, such as the Study Center in Applied Macroeconomics (CEMAP). The CJE provides the following services: Cost-benefit analysis, Industry Analysis, Quantitative Marketing, Business Plan and Development of a Data Base among other services connected to economy and management. 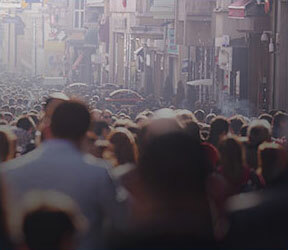 Junior Public Consulting – The FGV Junior Public Consulting is a non-profit association, made up and managed by undergraduate students from the Business Administration, Public Administration, Law and Economics Courses at the Getulio Vargas Foundation. The first and only junior enterprise to provide consulting services exclusively for the Public Area and Third Sector. The enterprise was established in 1994 and since then has been developing projects within three major areas: Quality, Organizational Change and General Management. The DAGV (Getulio Vargas Academic Board) is the official representative body of the undergraduate students at FGV/EAESP. Undergraduate students elect the board on an annual basis and they are free to create slates for running for the elections. The DAGV is made up by the Executive Board and by three other boards. The Executive Board is made up of a Chairman and Academic and Administrative Vice-Presidents whose role is to coordinate DAGV operations and define the general work guidelines. The seven divisions are integrated with the Teaching Department (AE), Teaching Department (AP), Social Department, Cultural Department, Financial Department, Communications Department and Student Relations Department. For additional information, please call us at +55 11 3799-7835/3799-7907. The FGV Junior Enterprise – EJ/FGV is one of the most pioneer initiatives at FGV, it was the first of its kind in Brazil. The enterprise is a civil association, non-profit, made up of FGV/EAESP undergraduate students that, together with guidance from professors, provide consulting services to companies based on the management knowledge learned during the course. Students can put into practice their knowledge at EJ-FGV, strengthening their entrepreneur spirit, while businesspeople can have access to quality consulting at competitive prices. GAZETA VARGAS – (Vargas Gazette) the Gazeta Vargas Cultural Association is the student entity that fosters a critical and reflective stance of Getulio Vargas Foundation students and employees in São Paulo, made up of six students. It is a non-profit association, privately owned, nonpartisan with indefinite duration. International Network – The International Network@FGV was created with the purpose of introducing Foundation students into the global context of business and culture. We plan on helping FGV students become global citizens that know how to deal with extreme cultural differences and have an international repertoire of experiences that are the competitive edge in the labor market. Bring internationalization achieved by the EAESP to the student’s level. TECHNOLOGICAL INCUBATOR OF POPULAR COOPERATIVES (ITCP/FGV) – The ITCP-FGV’s mission is to advise Inclusive Businesses as a strategy to fight poverty based on a new way to organize the economy; it’s vision is to become a development and reapplication center for Social Incubation Technologies and articulate Inclusive Businesses in a network. . Read more . Junior HR Enterprise – is a company made up of students from Business and Public Administration, Law and Economics at FGV and by Psychology students from the Mackenzie Presbyterian University. It is the first and only junior enterprise specialized in Human Resources with the interdisciplinarity of two renown colleges in the labor market. The purpose of the enterprise is to develop people providing quality services in that area while giving its members and opportunity for learning and experience.